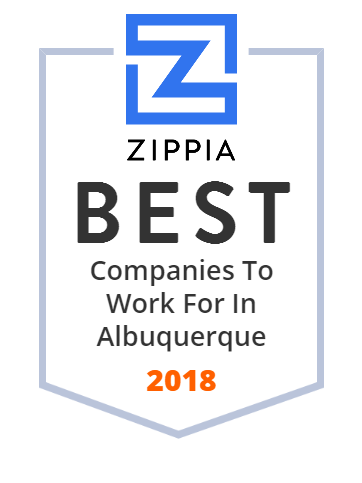 We hand-curated a list of the best companies to work for headquartered in and around Albuquerque, NM using data on salaries, company financial health, and employee diversity. Applied Research Associates, Inc is a research and engineering company headquartered in Albuquerque, New Mexico, founded in 1979. Presbyterian Healthcare Services is a private not-for-profit health care system and health care provider in the State of New Mexico. The University of New Mexico is a public research university in Albuquerque, New Mexico. NM Resources (NYSE: PNM) is an energy holding company based in the US state of New Mexico. Headquartered in Albuquerque, PNM Resources has approximately 2,530 megawatts of generation capacity and serves electricity to 498,000 homes and businesses in northern New Mexico and parts of West Texas. This company has a solid reputation for shareholder value, customer satisfaction and service reliability. DaVita Medical Group is one of the nation's leading independent medical groups that focuses on offering the community the personlized care they deserve. This privately owned comapny's unique approach provides clients with a whole health care team. This team includes primary care providers, specialists, nurses and more, and each team is dedicated to the client's health and wellness. Based in Albuquerque, NM, Oakmont Advisory Group specializes in retirement planning. They ensure their clients are financially prepared with regards to income, investments, taxes, healthcare, and legacy planning, putting them at ease as they enjoy their retirement years. Welcome to the Garcia Auto Group - Serving Albuquerque, El Paso & Santa Fe with New & Used Cars & Service! Visit one of our many locations through NM & Texas! Indian Jewelers Supply has been serving the Jewelry industry since 1943, selling silver, gold, tools and supplies for jewelers. Visit IJS for all your needs. The best of the web and trending news from around the country. Find your local NewsCastic at newscastic.com. Superior Water-Based Wood Stains that Make Wood Beautiful. No Odor. Easy Clean-Up & Safe for the Ones You Love. Power Ford is conveniently located in Albuquerque. Power Ford is the premier Ford dealer in New Mexico. The communities they serve include Santa Fe, Los Lunas, Belen, Grants, Gallup, Rio Rancho, and Bernalillo. Power Ford's goal is to help their clients find their dream car and make it affordable. This company has around 100 employees and up to $1 billion in revenue. SBA Materials develops functional porous, inorganic and organic hybrid materials for a wide range of technologies. The City of Albuquerque offers online services to their community. They engage a broad cross-section of their community in decision making. Also, the City of Albuquerque invests in their community by focusing on underserved neighborhoods instead of simply dividing up resources by nine city council districts. Their departments from public safety to economic development are working to break down barriers and get services to those who need them most. The City of Albuquerque has around 500 employees assisting the whole community. Ernest Health, Inc. owns and operates community-based acute rehabilitation and long-term acute care facilities in Arizona, Colorado, Idaho, Indiana, Montana, New Mexico, South Carolina, Texas, Utah, and Wyoming. It offers treatments in the areas of amputations, arthritic conditions, brain injuries, burns, cancers, congenital deformities, general weaknesses, hip fractures, incontinence, joint replacements, post cardiac surgeries, post general surgeries, post mastectomies, and more. Sherman & Howard L.L.C. is a super-regional firm with a national practice. Our approximately 190 lawyers serve a broad range of clients.